Signalling the close of the sale of its TV distribution assets to Extreme Reach for $485 million, DG MediaMind has spun off its online business into a new online company named Sizmek Inc. (NASDAQ: SZMK), an open ad management platform with over 5000 agencies and representatives in 48 countries. This will be important news to the large number of clients of MediaMind in Australia, who will now be working with the new entity. This includes half of all agencies in Australia, including GroupM and TMS Group, and many of the major publishers, who use DG as their preferred platform. Following the closing of the transaction and the cash distribution, Sizmek is expected to have total cash of approximately $60 million and total working capital of approximately $60 million, including cash and working capital from DG’s television business. Sizmek says its media independence, with all reporting, data and campaign tactics deployed with no potential biases toward any media or buying methodologies, has enabled it to become one of the most distributed platforms in the online industry and positions it to connect the industry players moving forward in what is currently a highly fragmented and siloed industry. In tandem with its corporate launch, Sizmek is introducing Sizmek MDX, an open ad stack that integrates key aspects of advertising management, including in campaign management, marketing channels, media decisioning and data collection and analytics. 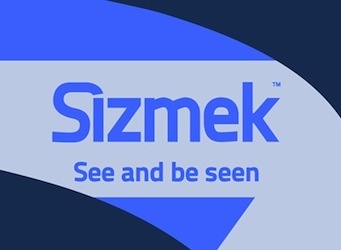 Sizmek currently connects over 20,000 global advertisers and 5000 agencies to their audiences, serving more than 1.5 trillion impressions a year. Sizmek operates in 48 countries with over 850 employees worldwide.